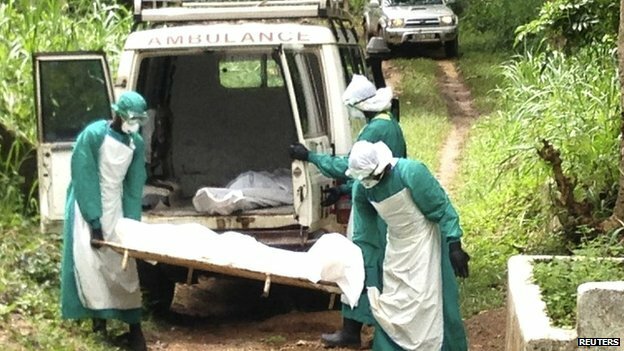 Doctor Umar Khan – a Sierra Leonean virologist and specialist, responsible for treating those diagnosed with the deadly Ebola virus, has himself fallen victim to the virus, in eastern Sierra Leone – the epicentre of the disease. According to State House report, Dr. Sheik Umar Khan – who is 39 years old, is recognised as a “national hero” for his effort in leading the fight in controlling the Ebola outbreak. The very ill doctor has been transferred to a special treatment ward, set up and managed by Medecins Sans Frontieres. Across West Africa, more than 600 people have died of Ebola in the last few months. And in Sierra Leone, believed to have the highest number of victims in the sub-region, of the more than 400 people that have been diagnosed with the disease, 209 have so far died, including 20 health workers. There is no cure for the virus, which can kill up to 90 percent of those infected. Health Minister Miatta Kargbo has referred to Dr. Khan as a national hero. She vouched that she will “do anything and everything in my power to ensure he survives”. According to Reuters, Dr. Khan had expressed fear of contracting the deadly virus. “I am afraid for my life, I must say, because I cherish my life,” he said in an interview last month. “Health workers are prone to the disease because we are the first port of call for somebody who is sickened by the disease. Even with the full protective clothing you put on, you are at risk,” said Khan in June. Three nurses working in the same Ebola treatment centre alongside Khan died from the disease, a few days ago, bringing the total number of health workers that are so far believed to have died to 20. Latest figures released by the Sierra Leone Ministry of Health & Sanitation, paints a very worrying picture of a virus that is now out of control. The cumulative number of Laboratory confirmed cases stands at 409, with 139 confirmed deaths. The government says that 98 patients have survived the disease and have been sent home. On the 20th July 2014, a total of 9 samples were received by the central laboratory; three from Kailahun; three from Kenema, two from Freetown, and one from Bo. Four of those nine samples have been diagnosed positive; two of which comes from Kailahun, one from Bo, and one from Kenema. The ministry of health says that of the three samples which proved negative, one is from Kailahun and two from Freetown, with the remaining two samples still awaiting final results from the test centre in Kenema. News of Dr. Khan’s illness from the virus has now brought into sharp focus, the government’s ability to combat the disease, as fingers continue to be pointed at the inexperienced and disaster-prone minister of health. 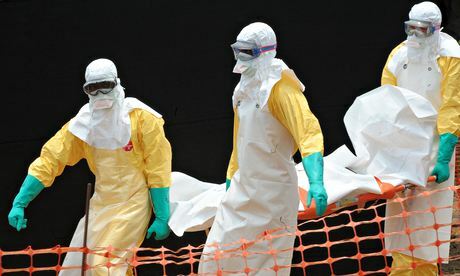 Although recognised as the world’s deadliest outbreak of the Ebola virus, the global response is far short of the demands placed on Liberia, Sierra Leone and Guinea – three of the poorest nations in the world. 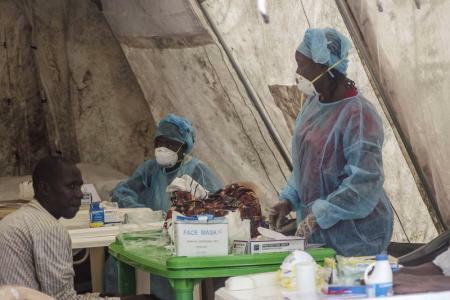 And with world leaders politically obsessed currently with events in the Middle-east and the Ukraine, it seems thousands may have to die in West Africa, before the world turns its attention to the plight of Ebola stricken victims in the sub-region. But the government of Sierra Leone can do more and must do more. President Koroma must convene an emergency special session of parliament to discuss national spending priorities, with the aim of putting on hold non-essential spending programmes. This should free up much needed budget to help prevent and combat the disease, so as to save lives. The country’s capital Freetown is now an Ebola time bomb, simply waiting to go off, as a high proportion of those living in the city do not believe in the existence of the virus. Some are even blaming the government for the deaths, while others say that government officials are using Ebola funding to get rich. Such level of ignorance and denial, beggars belief, for a population of almost three million, with 70% in desperate poverty across the city. 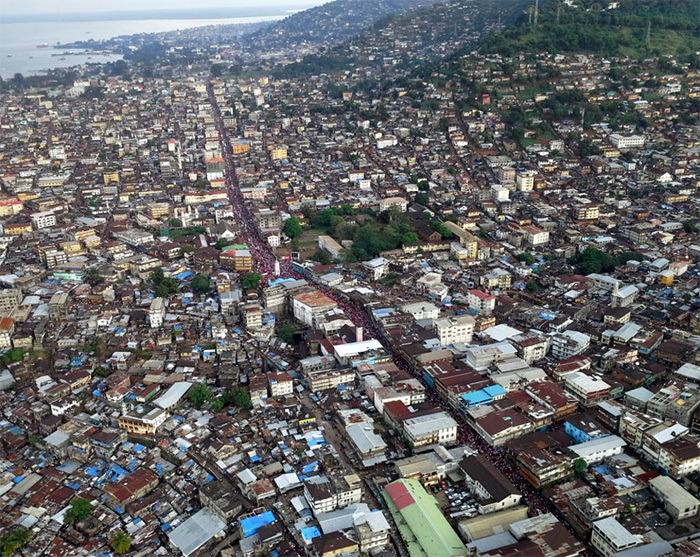 With the current overpopulation in Freetown, poor sanitation and cramped living conditions for the majority of residents, an outbreak of the virus will cripple the seat of power. The president described the Ebola virus not only as very serious and deadly, but also causing a lot of scare and devastation among the population. He said that Sierra Leone has been in a state of preparedness since the outbreak was announced in a neighbouring country early this year, and that his government has moved from preparedness to responsiveness mode, since the first Ebola case in the country was confirmed on 26th May. But evidence on the ground does not seem to support the president’s claim, as many more people lose their lives. President Koroma noted however that, the national response plan conceived by his government has three areas of activity: namely; identification, isolation and treatment of infected persons, contact tracing as a result of the contagious nature of the virus, and sensitization. He further disclosed that his government has attracted a lot of support from the international community, although the bulk of the responsibility is with government, which has been responding by providing resources and training people on immediate response mechanisms. “We have not yet gotten to the point wherein we can say that the situation has been stabilized, we are getting from our international partners, and also within the sub-region, we will succeed in the fight against this disease,” President Koroma said. 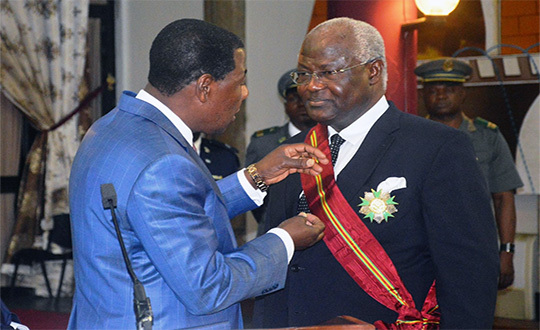 President Koroma was in the Republic of Benin to receive the honour of Grand Commander of the National Order of the Republic of Benin, from his friend President Boni Yayi at the Presidential Palace in Cotonou. President Yayi said Benin was proud of the tremendous work President Koroma is doing in fighting corruption, promoting good governance, political tolerance, peace and stability in Sierra Leone, after a decade of war and its attendant horrors; an experience, he said, all African countries should identify with and learn lessons from. President Koroma was also commended and honoured for the economic growth Sierra Leone is currently experiencing with ‘the fastest economic growth among ECOWAS countries’. He described President Koroma’s leadership style as fair, firm and progressive in the sub-region; a reason why he deemed it necessary to invite His Excellency from Sierra Leone to share his experiences on many issues of prosperity, political stability, the fight against corruption and the end of impunity in member states. But as the death toll rises from the Ebola virus in Sierra Leone, president Koroma’s government will soon face one of its most testing periods in governance, since arriving in office in 2007. Is this the beginning of the end for the ruling APC? No one knows for sure. But one thing is certain. Elections are due in 2018. Ebola must end, before the people give their verdict about the government’s performance in managing this national tragedy. Already, the political fallout expressed in the country’s media, continues to raise serious question once again about the president’s leadership and ability to manage a national crisis of this magnitude. Meanwhile, Dr. Khan – the Ebola specialist, remains critically ill in hospital, as the people of Sierra Leone hold their breath, praying for his recovery. I am not surprised that the health professionals are now falling victim to this deadly disease. I was watching BBC news the other day and I was shocked to see the nurses washing the gloves they had just used on Ebola patients in preparation for further use!!! Any face masks, gloves, drapes, aprons, needles used on any Ebola patient should be single use only. They should be discarded and destroyed immediately after single use. That is why diseases like Ebola, Cholera, etc, are not only deadly but also very costly – both in terms of loss of life, and financially. The Ministry of Health has to make sure that all clinics are fully equipped and the staff educated on how to use these materials. Anything short of this spells disaster. Also very worrying is that many people in Sierra Leone do not believe that Ebola exists. There is no scientific reason for this and I believe this is another job for the Ministry of Health to tackle. I pray for the speedy and full recovery of Dr Khan.